This Edval service improves timetables, as opposed to generating new ones. The new and improved timetable is generated easily, showing direct, quantifiable results without disrupting the school’s current system. 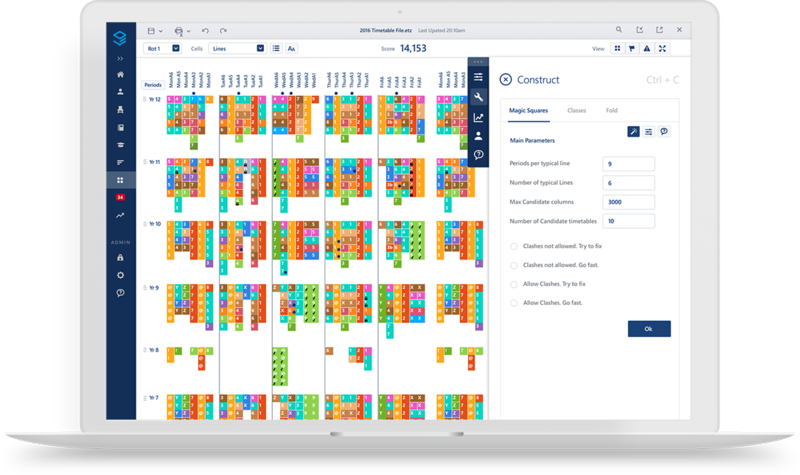 By reprocessing Option blocks, Edval demonstrates it can better satisfy more students, often while running fewer classes. This results in significant savings for the school. Edval can reduce undesirable split classes, or improve staffing in other ways. Edval improves the spread of lessons across the week, to reduce or remove cases of two single subject lessons on a day, or other poor-quality arrangements. Achieve better consistency, where more lessons of a class are in the same rooms. Reduce movement of students and teachers by smarter room assignment. This is usually much better than manual rooming can achieve. Edval Improve is perfect for those considering updating their timetable system, or fixing a poor arrangement in a given year. Seeing the degree of improvement possible in a timetable can be enlightening, and allows a school to make improvements easily. Our improvement service is an ideal way to get buy-in from stakeholders relatively quickly and with zero risk. Also for those schools experiencing hesitation or political barriers to the adoption of new systems. We’re so confident in Edval’s abilities that, if no improvements are found, or if the school decides to retain the existing arrangement, we will not charge for the service. What have you got to lose? Edval is integrated with many MIS’s and other timetabling systems.